This gallery shows one of the more popular classic designs. 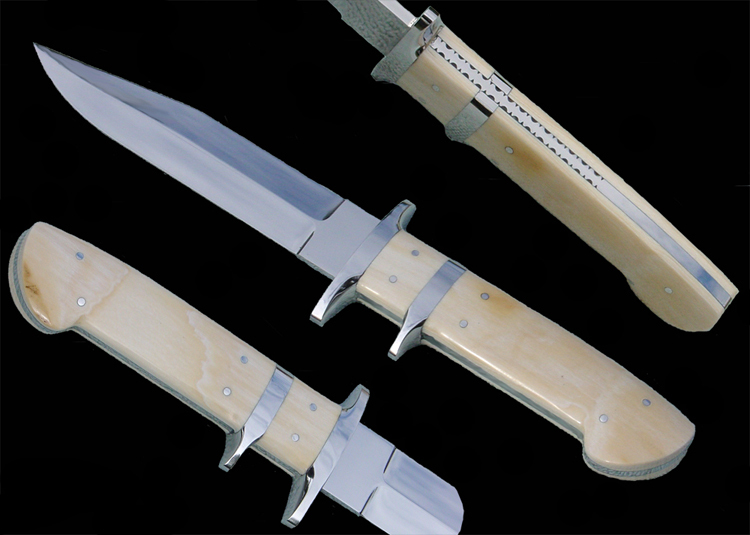 The knife can be made in a variety of sizes and handle dressings. Loveless Design Sub-Hilt Fighters made to order. Details about each version is along with the picture of each knife. 1/4" thick 440c stainless steel and is slightly fileworked on its' spine. The knife can be made double-edged. The guards and handle pins are from 416 stainless. Handle scales are presentation grade desert ironwood. Price for a similar piece is USD$750. All Loveless Design Sub-Hilt fighting knives are fitted with a custom hand stitched leather sheath. Below is a smaller version of the Loveless design Sub-Hilt fighter. and is slightly fileworked on the spine. The guards and handle pins is 416 stainless steel. The handle is a really nice set of elephant ivory handle scales. elephant ivory handle is USD$750. Contact Rocket Knives for a price with different handle choices. on the slightly large size. and is decorated with filework on its' fully tapered tang. The guards are 304 stainless steel. 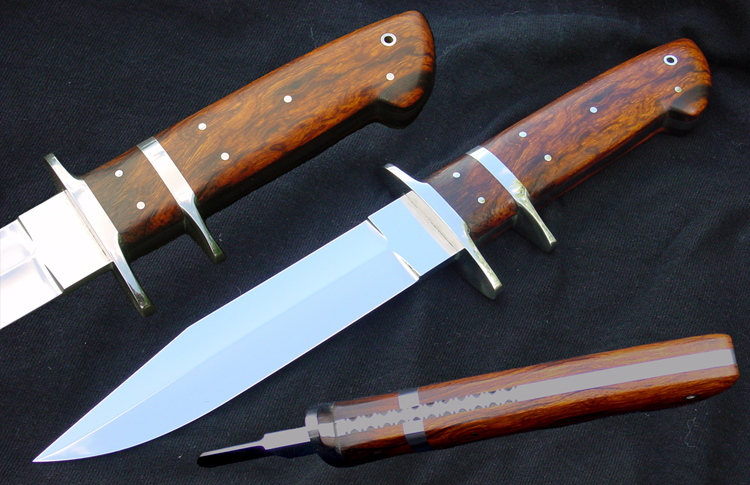 The handle is blind pinned with desert ironwood handle scales. 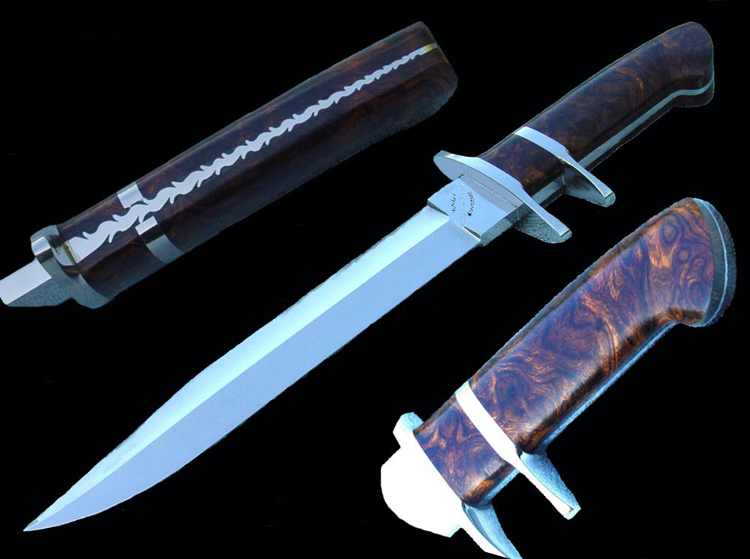 Price for a 9" Loveless Design Sub-Hilt fighter is USD$900. with a custom hand stitched leather sheath. Copyright © 2004-2017 Rocket Knives | Rocket Web Design. All Rights Reserved.